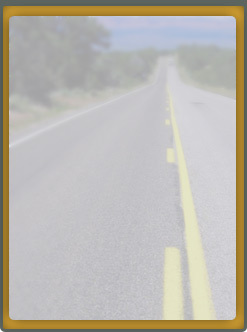 This protects you from damage or injuries to other people as a result of truck accidents. This provides actual cash value portection for your equipment. MOTOR TRUCK CARGO-This provides protection for the transporter for his responsibility in the event of damaged or lost freight. ------------------------------------------------------------------------------------------------------------------------------NON-TRUCKING LIABILITY (BOBTAIL)-Non-Trucking Liability provides limited liability insurance for owner-operators who are permanently leased to a federally regulated carrier. It provides limited liability protection when the owner-operator is not on dispatch or pulling a loaded trailer. When the owner-operator is under dispatch they are covered under the Primary Liability insurance policy of the company that they are leased to. GENERAL LIABILITY-General liability policies pertain to very broad coverage other than automobile. general liability provides protection for injuries and or property damage sustained while on your premises, using your products or services, or because of a breach of contract. The usual policy limit is $1,000,000. Higher limits are available. WORKMAN'S COMPENSATION-Workman's Compensation insurance covers injuries and occupational diseases picked up at work. Fault doesn't matter; employers are liable even if the employee contributed to the injury or illiness. OCCUPATIONAL ACCIDENT INSURANCE-Occupational Accident insurance provides the owner-operator with medical benefits and disability due to work-related accident, injury or death. It is not purchased in lieu of Workman's Compensation, but when Workman's compensation is not available or not required. Trucking is our speciality. If you make your living behind the wheel, we have got you covered. We offer a complete package for the owner-operator as well as the fleet account. Low down payments and low monthly payments. Filings are made promptly and certificates are faxed immediately upon request.